Enjoy our comfortable and convenient home away from home in our remodeled townhouse . 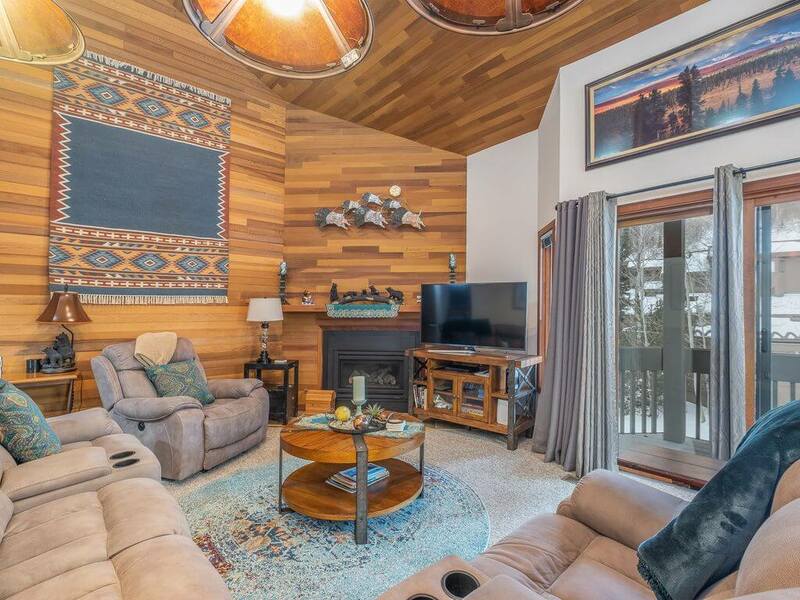 Our townhouse style two bedroom plus loft/three bathroom Lakeside condominium is located just about 1/4 mile from Snow Park Lodge (base lodge at Deer Valley Resort). Easily access all the great recreation, dining, and shopping that Park City and Deer Valley have to offer by utilizing Park City’s free shuttle bus system, which stops about one block away with no hills to climb coming or going. The nice large common hot-tubs and year round heating swimming pool are also conveniently located about one block from the condo’s front door. The master suite offers a cozy king size bed with a new pillowtop Mattress and private bath. There is a queen and a twin bed in the second bedroom that also have new mattresses and a private bath. The bedroom off of the kitchen has a queen sized bed. Bringing kids along? The loft bedroom offers brand new bunkbeds, again with a new firm mattress to rest easy after skiing. Our local staff is on hand to assist you in anyway possible. Any questions, difficulties, or service you require is just a quick phone call away. VISIT OUR WEBSITE FOR MORE INFORMATION – SEE HOW WE CAN MANAGE YOUR PARK CITY/DEER VALLEY VACATION PROPERTY.